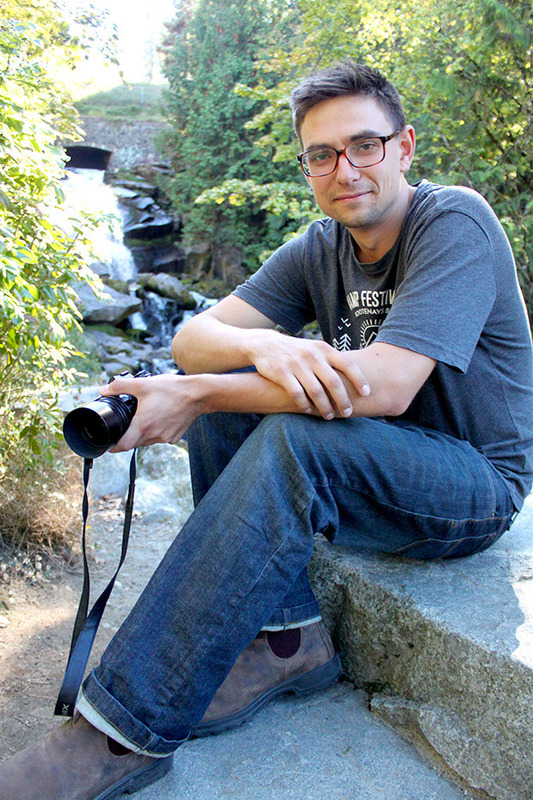 Star reporter Will Johnson celebrates Kootenay musicians, artists, photographers and festivals. Some people think it’s because our town is situated on a giant bed of quartz. Others will say it’s just that when talented people live somewhere, they tend to attract other talented people. But no matter how you explain it, there’s no denying that there’s a vast, vibrant, interconnected Nelson arts community that routinely produces work you might not have expected to come from a little mountain town of 10,000. These are my favourite arts stories I covered this year. The music video for electronic duo HUMAN’s bizarro track “Tell Me” nabbed them a Leo Award this year, shortly after they were nominated for a Juno for their latest album Noontide. It stars a pair of puppets who trip out on a concoction of sliced-up squid tentacle and cigarette ash. The hypnotic video was created by Peter Ricq and Robbie Slade, who was raised in Nelson. It’s perhaps the weirdest music video I’ve ever seen. According to L.V. Rogers grad Lillea Goian, the key to creating a perfect outfit is contradiction. “I’ll take an elaborate jewelry neck-piece that’s colourful and bright and elegant, but then I’ll mix it with a shirt that has flames on it and makes me look like Guy Fieri,” she said, describing her new fashion line Lillz Killz. 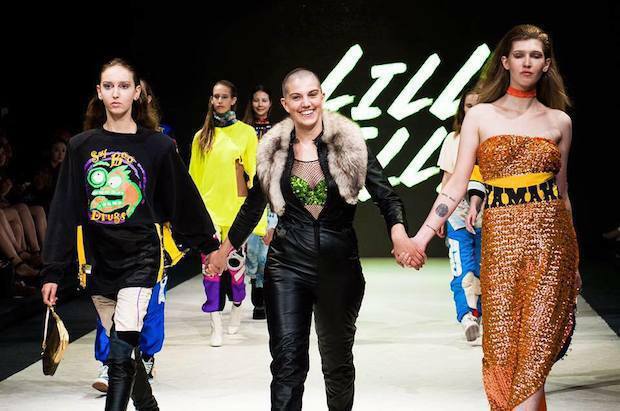 This year she participated in Vancouver Fashion Week, an opportunity that landed her an interview with Elle Canada and drew widespread attention to her creations. 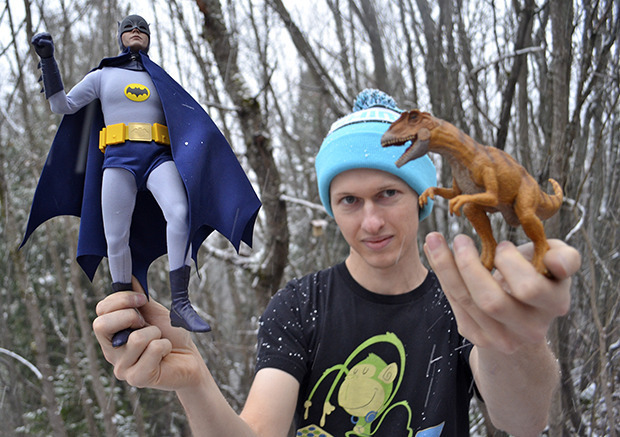 It takes Nelson photographer Blair Altman approximately 30 hours to create each one of the Instagram shots on his account Batman and Frank, which now has over 50 images. “I’d like to be doing things that are out of the box and weird,” said Altman. And he figures Batman and Frank fits the bill. 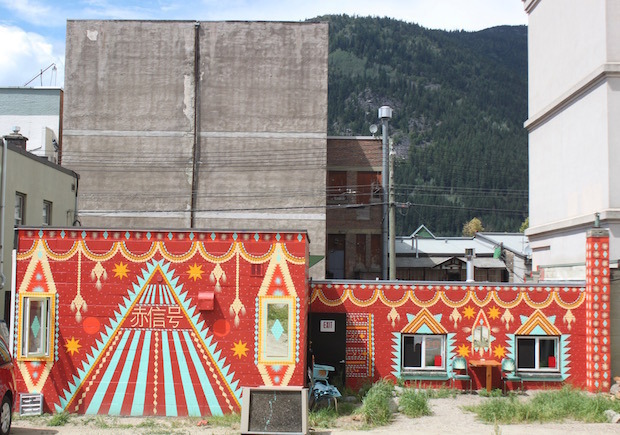 When Burning Man artist Shrine On decided to paint a mural on the back-side of Red Light Ramen earlier this year, he didn’t have a permit. But before the city could intervene he created an elaborate Egyptian-looking panorama commissioned by Korinä Langevin. The result was praised by the Nelson & District Arts Council, and sparked conversations at the municipal government level about the future of murals and street art in the city. To create her third album Nature // Cosmos, Rhoneil began taking long nature hikes to clear her mind. During these long sojourns it occurred to her that she could channel the energy she was receiving from her environment into her work. 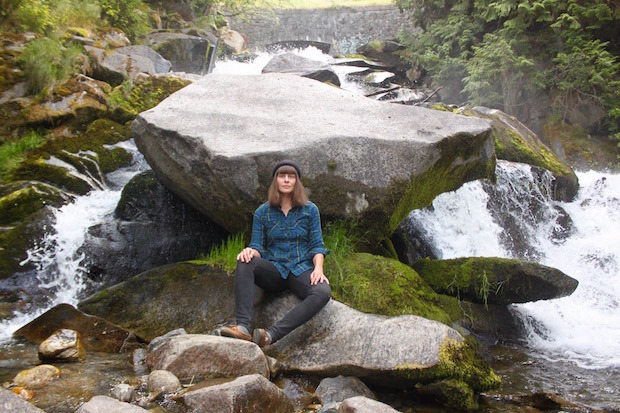 She then took the album on tour, performing at multiple venues around town and at the Tiny Lights Festival in Ymir. This year I got the chance to perform alongside Nelson thespians in the musical Rock of Ages, the latest show from Black Productions. Starring Anna Backus, Pat Beauchamp and Ty Wright, the show featured classics such as “Don’t Stop Believing” and “The Final Countdown”. The ultra-ambitious, raucous endeavour also featured Selkirk College Music students, a live band and plenty of outrageous costumes. Wright was particularly memorable as outlaw rocker Stacee Jaxx. “He’s just so out there you have to leave yourself behind and lose yourself in the craziness,” he said. Before Kootenay photographer Louis Bockner debuted his series of portraits Inhabit at the Langham in Kaslo, he took a photo of Michael Franti that ran on the front page of the Nelson Star and has become the lasting image from the weekend. Liberation Days began as a passion project for the Capitol’s Stephanie Fischer, who applied for funds through the federal government to launch the Dave Van Belle show about the aftermath of World War II. The production, which starred Eli Geddis and Lindsay Clague, was directed by Pat Henman. 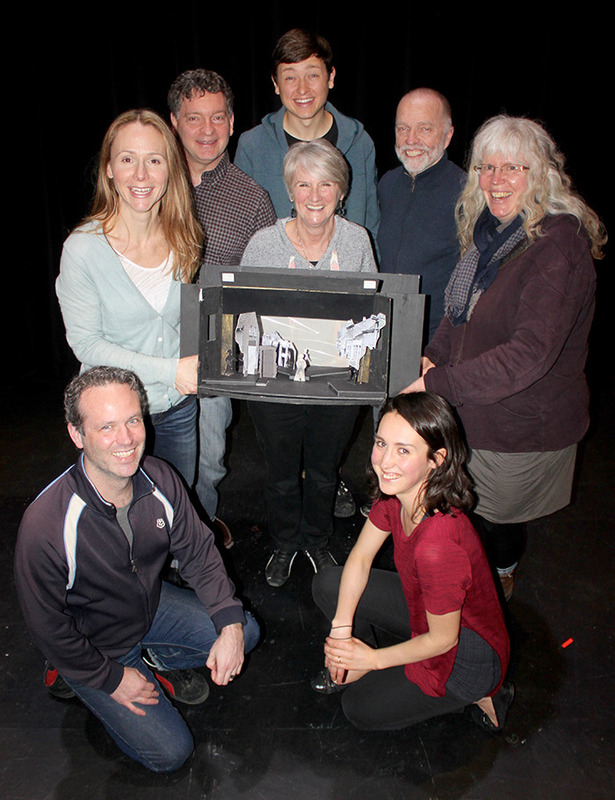 During the rehearsal process the cast met with now-deceased war veteran Ron Cox, and many of the cast members had to learn how to speak Dutch as well as deliver English lines with Dutch accents. Local filmmaker Amy Bohigian also got involved, filming behind the scenes and the ultimate show with a team of youth filmmakers. The resulting film will be shared with SD8 schools. Kootenay artist Wayne King’s work was celebrated with a Touchstones exhibition after he passed away last year. Curator Arin Fay sourced 120 pieces from 40 different donors, ultimately gathering woodcuts, paintings and sketches. 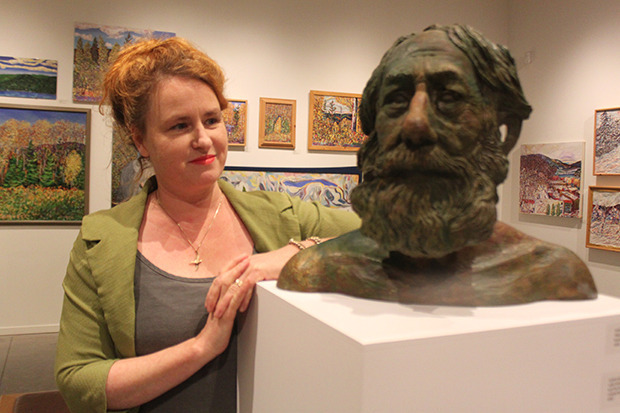 Aimée Philibert of Who Knew Gallery & Culture Shop also contributed a bronze bust of the artist, which was mounted on a custom-made plinth that was exactly King’s height. Fay believes his legacy will endure. “I think he’s here in all sorts of different ways,” she said. 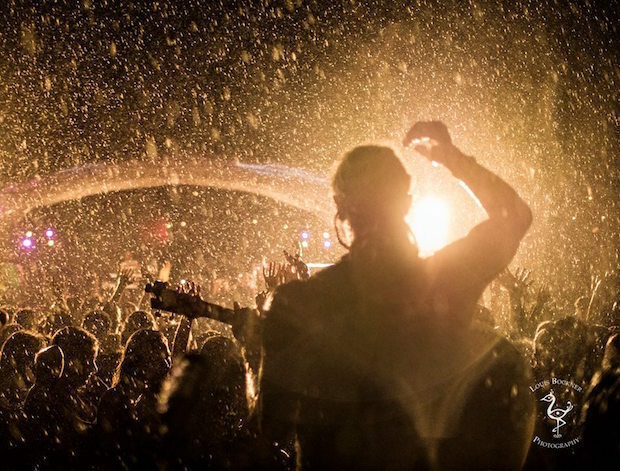 The struggling music festival, which has now expanded its musical mandate to attract larger crowds, was on the verge of going under. Executive director Paul Hinrichs told the Star they were going to “blow it up or go broke trying”, and to that end they brought Michael Franti back for the 25th anniversary. Ultimately, the show was sold out and brought in $180,000 more than last year. That means next year they’re doubling their performer budget, and it won’t be going away anytime soon. And Hinrichs has big plans.